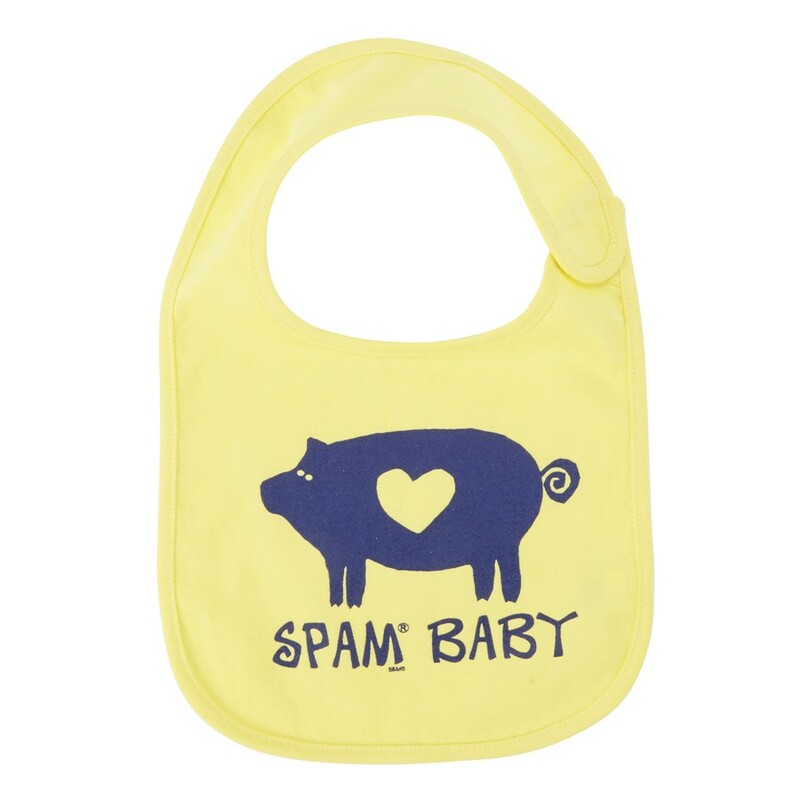 Yellow soft cotton bib with SPAM® Brand Baby logo with pig and heart. Navy imprint. 100% cotton. Machine washable.